In 1957, ten years after the Brooklyn Dodgers helped Jackie Robinson break the color barrier in the Major Leagues, they had their 67th and final season in New York. The Dodgers, just two years removed from their first World Series Championship, were seeking another title. Meanwhile, their team President, Walter O’Malley, was seeking a new stadium in the same borough the team had occupied since the last part of the 19th Century. The once great Ebbets Field, which the team had called home since 1913, was not a suitable ballpark anymore. The stadium did not have enough seating to produce the amount of revenue a Major League team needed. There was also little to no vehicle parking around the stadium. This frustrated O’Malley, who was seeking a new privately funded stadium in the Atlantic Yards section of Brooklyn. This plan was shot down by New York City Building Commissioner Robert Moses. Instead, Moses proposed a new stadium in Flushing Meadows, which is in the borough of Queens. That site would later be home to Shea Stadium and currently, Citi Field. O’Malley refused the offer from Moses and sought another location for his team. While O’Malley was battling Moses over stadium plans, the season continued. The Dodgers finished their final season with a record of 84 wins and 70 losses. The team finished in third place in the National League. Centerfielder Duke Snider was the bright spot for the Dodgers in the 1957 season. Snider batted .274 with 40 home runs and 92 RBIs. He also hit his 300th career home run on July 20th. While the city of New York was not willing to accommodate the Dodgers, the city of Los Angeles was more than willing to be their new home. Los Angeles was offering O’Malley everything he wanted, a new Stadium with ample seating and more parking space than the Dodgers would ever need. The most important part of the offer was a city with leaders who were willing to work with the franchise to make them happy. Before the season was complete, it was official; the Dodgers were moving to California. The Dodgers won their final game at Ebbets Field on September 24th. The Dodgers had many seasons where they did not enter the postseason. This season was different, and the fans could no longer look forward to next season. It was over and the city’s beloved team in blue was history. The loss of the Dodgers crushed Brooklyn’s heart when they left for Los Angeles and the city has never been the same since. Brooklyn baseball fans vilified O’Malley for moving the team. Many of those fans did not know the politics of the move. Many years later, it became more clear that the city of New York did not help O’Malley keep the team in Brooklyn. O’Malley tried his hardest but it just was not enough, and he had to do what was best for the franchise. It has been 65 years since the Dodgers called Brooklyn home, but all of the old fans that grew up with them still consider the Dodgers their home team. Two Wild Card Teams, Too Many! This past off season Major League baseball did something they had not done since 1994. It changed it’s playoff structure by adding a new element. Prior to 1995 there were just four teams involved in the post season. There was an Eastern and Western Champion in Both leagues who would play each other for the League Championship. Those two winners would go into the World Series and face off against the opposing leagues Champion. This had been the case since 1969. The new system was enacted in 1994 but due to the strike shortened season it debuted in 1995. The system worked with each league having three divisions. Each division winner would go to the playoffs and the team with the best record that did not win a division would also go to the post season. There have been five wild card teams that have won a World Series since MLB instituted the wild card. In November the commissioner of MLB, Bud Selig announced that their would be a second wild card team for each league. The two wild card teams would play each other in a one game playoff. The winner will advance to the divisional round of the playoffs and face one of the divisional champions. All that was added was basically one more game to each leagues playoff. We will see the first wild card playoff game in less than two weeks from now. The new system obviously adds something to the final month of the season. More teams will be in the hunt for the post season with the additional wild card. Those teams games will also be more exciting down the stretch when MLB can be boring at times. It will also create a new buzz in the playoffs. However there is a draw back. The two wild card teams might actually be pretty far apart records wise. The second wild card team will be given an opportunity for the playoffs they may not deserve. As of right now you have two teams at the top of the National League wild card race. The Atlanta Braves and the St. Louis Cardinals. The braves lead the Cardinals by 6 games. If the playoffs were to start today the Cardinals would get a one game playoff opportunity with the Braves they should not have. This new system seems nice right now but over time it will dilute the MLB post season. One wild card team per league is just enough. If you have too many non playoff worthy teams getting a shot in the playoffs it will spell disaster for MLB. This is just another scheme by Selig to make more money off of the last month of the season and add more money to the post season television deals. MLB should go back to the four team per league system before the post season become watered down. As the old adage goes if it is not broke don’t fix it. The longest hitting streak of this season has come to an end today in New York. Jose Reyes went 0-4 against the New York Mets pitcher R.A. Dickey. Reyes is now 2-16 all time against Dickey. The consecutive game hitting streak was ended at 26 games. 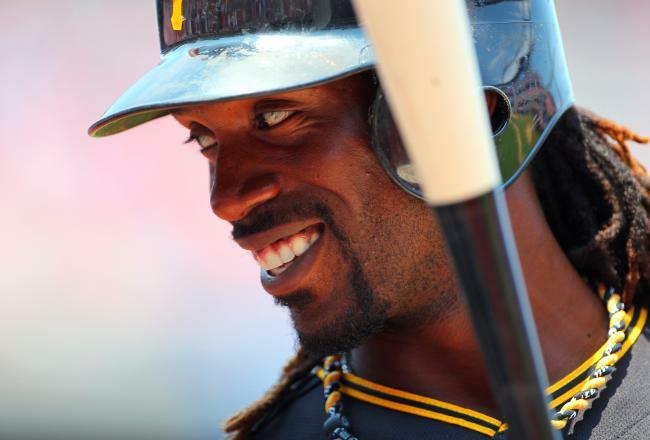 Reyes will likely keep the record through the end of the 2012 season. Reyes started this streak after the All Star break on July 13th and did not let up until Thursday the 9th of August. The pitching of R.A. Dickey proved to be too much for Reyes. If anyone was going to end the streak abruptly it would be the crafty knuckleballer. 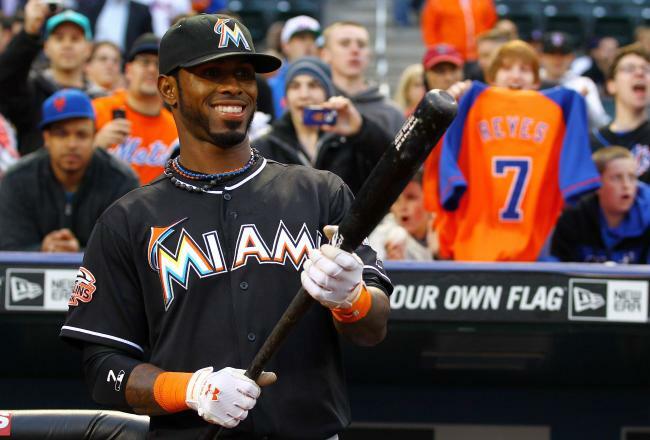 Reyes streak was the last remaining hope that Marlins fans had for any excitement this year. The team has fallen 17 games back behind the National League East leading Washington Nationals. The hitting streak was just starting to get major media attention and just as it was it is already over. It was a fun ride to watch the suspense of Reyes getting hits in many of the games in late innings was energizing. Reyes is the defending N.L. batting champion. He is not going to win that title this year but showed that he is still a great hitter and a valuable asset to his team this year. Where do the Marlins go from here? Likely straight to the off season with no more major stories for the team this season. Although there is another potential streak brewing. The Marlins Carlos Lee has a 14 game hitting streak. Lee will probably not reach even 20 games given his aging veteran status, but hey you never really know. Reyes has been a great addition to this Marlins team this year. Lucky for the fans of South Florida he will be back next season. With any luck his success will rub off on the rest of the team and the Marlins will be the contenders they were supposed to be this year. This season has been very disappointing for the Miami Marlins. They showed that they are essentially giving up on hopes for the playoffs this season by trading some of their top stars. Rebuilding mode has already started when this team was supposed to be ready to contend this year. They have a strong focus on pitching in their trades this week, that is a spot they definitely need help in. The first trade came on Tuesday when the Marlins sent Omar Infante and Anibal Sanchez to the Detroit Tigers. Infante has had a decent season thus far and had led the team to numerous victories. Sanchez has been with the club for a few years and been a reliable starter at times. Sanchez had a rough start to the season but leveled out towards the summer. The Marlins received top-rated pitching prospect Jacob Turner from the Tigers in the deal. On Wednesday the Marlins traded away a star they coveted very heavily just a couple of years ago. 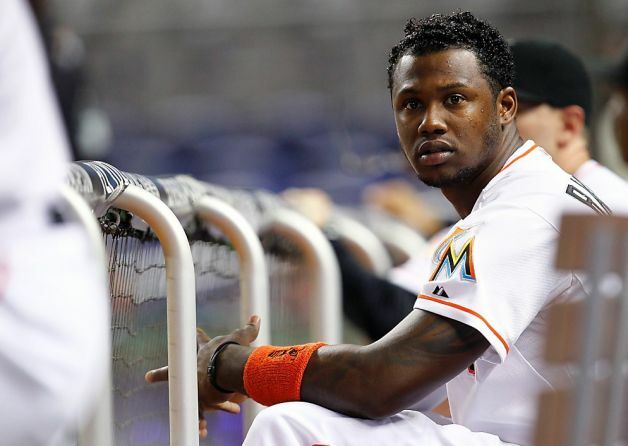 Going into this season no one suspected that the Marlins would not finish the season with Hanley Ramirez. The rumors started floating around last week that the team was looking at offers for the former N.L. batting champion and multiple time All Star. The Marlins made a deal with the Los Angeles Dodgers to send Ramirez and pitcher Randy Choate to California. The Marlins received pitcher Nathan Eovaldi and a minor leaguer in the deal. Hanley Ramirez will never be forgotten by the franchise. He was acquired from the Boston Redsox in the 2005 trade that sent Josh Beckett to Boston. The Marlins had coveted and groomed Ramirez as their big star of the future. He had a few season where he played really well and even one a batting title. But the last couple of years has seen Ramirez numbers drop significantly. The Marlins owe a lot of credit to Ramirez for helping them get a new stadium built in Miami for the club. The team signed Ramirez to a 6 year deal a few years ago to show the city of Miami tax payers that they were committed to building a contender. A lot has changed in the last few years and Ramirez is no longer a Miami Marlin. but at least they are receiving top young pitching talent for the future. The city of Miami will lose their patience with the team really quickly if they don’t get a team on the field that not only looks like contenders but play like contenders.